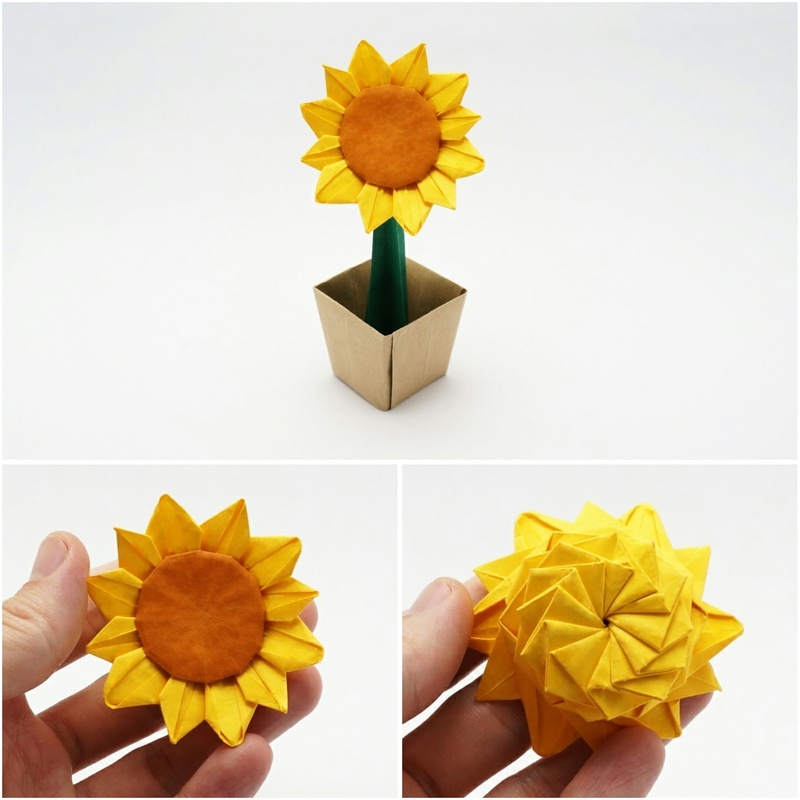 I created this origami Sunflower based on the Daisy flower (2016). It is similar, but the base comes from a hexagon (works with pentagon, heptagon and octagon too, but hexagon is the best in my opinion). If you don’t have a paper with the proper colors on each side, you can use two sheets: a yellow sheet colored on both sides and a brown sheet (for a 20cmx20cm yellow sheet, use a 10cmx10cm brown sheet of paper). Make all pre-creases and cut them into hexagons. Cover the middle hexagon of the yellow paper with the brown paper before collapsing (11:15). No need to glue!